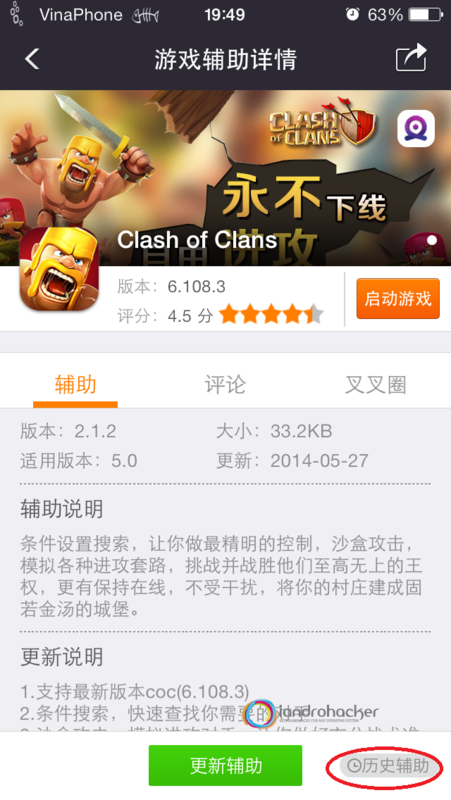 ->Sandbox attack gives you unlimited chances to simulate attacks when you visit a village. ->Keep Alive lets you always stay connected to the game, you will still be able to be attacked even if the Game is not running. 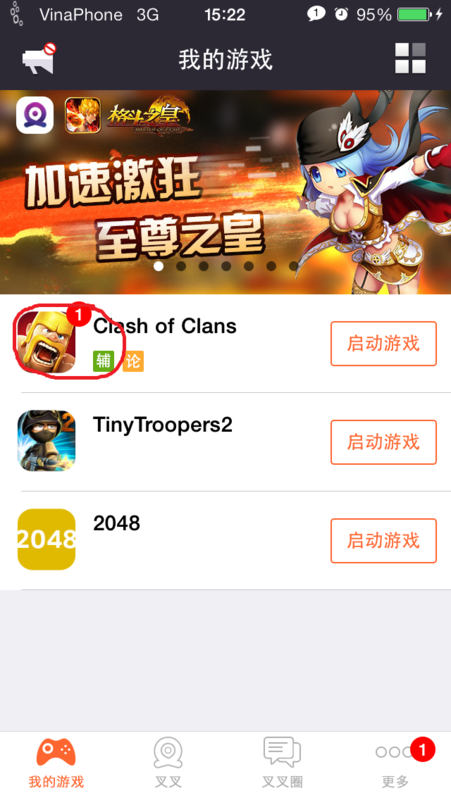 Battle with thousands of players across the world! 2. 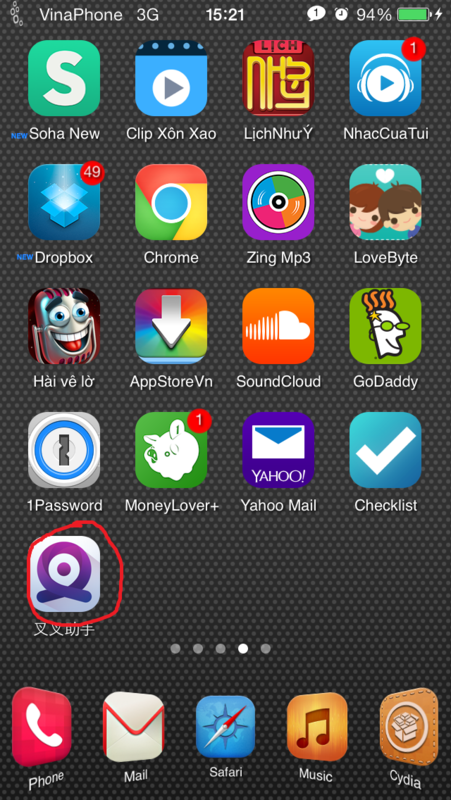 Click Chinese button on home screen. 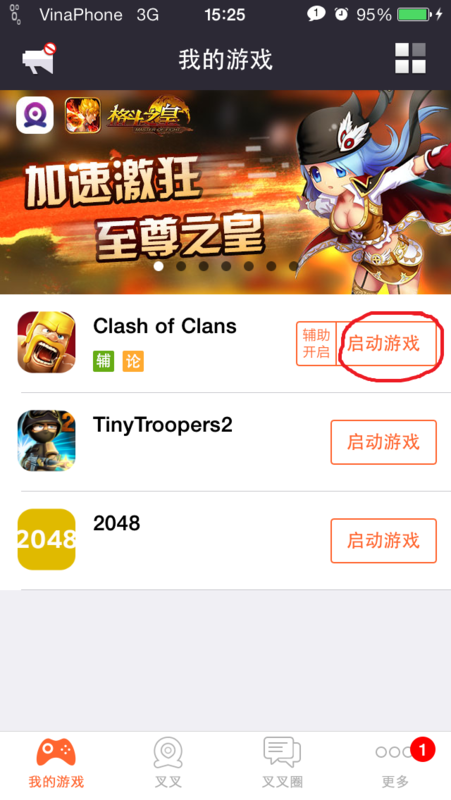 3.Click on the clash’s icon and press on the orange chinese button, the button will be green. N.B. Important: For sanbox attack! To active sanbox, turn off search loot. 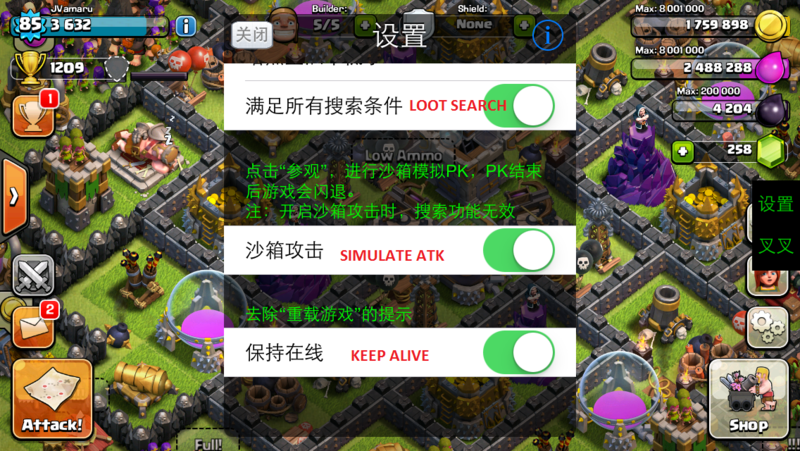 sanbox attack is below the search loot hack option sanbox attack simulate an attack to the village when you visit it, after the attack is end the app will crash because is a simulate and no a real attack! War Base layout and War Base Edit Mode! - Your War Base layout now has a life of its own and will persist from war to war without the need to touch your regular village. 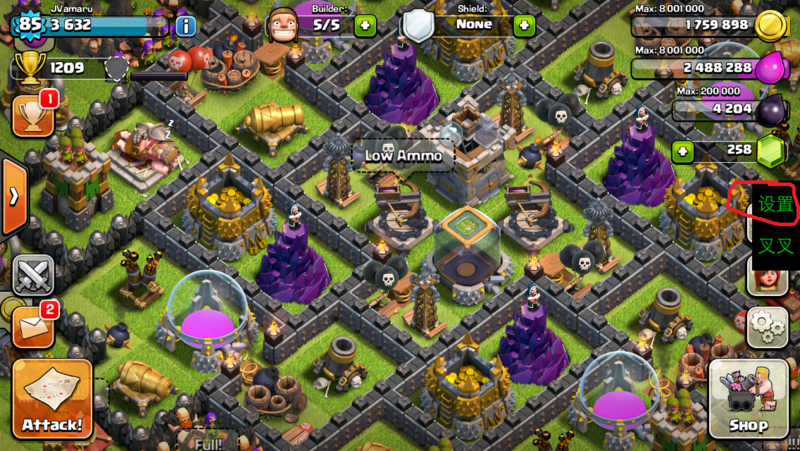 - War Base Edit Mode is available on the Clan War map during preparation day only. Layouts are still locked during battle day. - All new War Stats tab shows lots of new cool war statistics, including most heroic victory and most heroic defense replays! 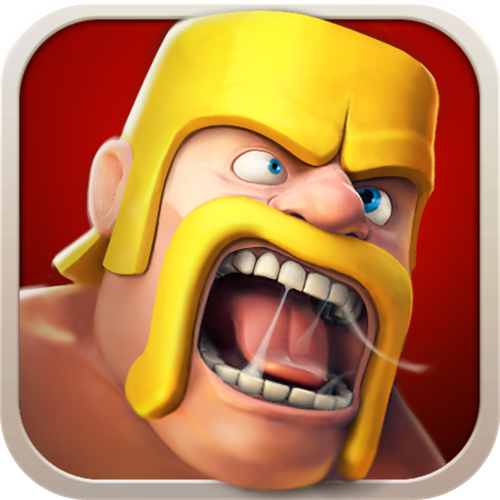 - See information about total war attacks, defenses and war stars won per member in improved Clan War clan info pages. 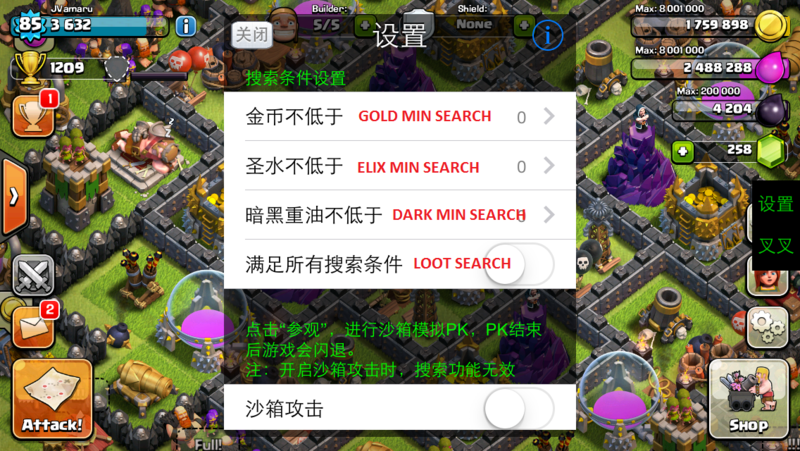 - Dismiss donated troops from your War Base Clan Castle if they don't meet your standards! 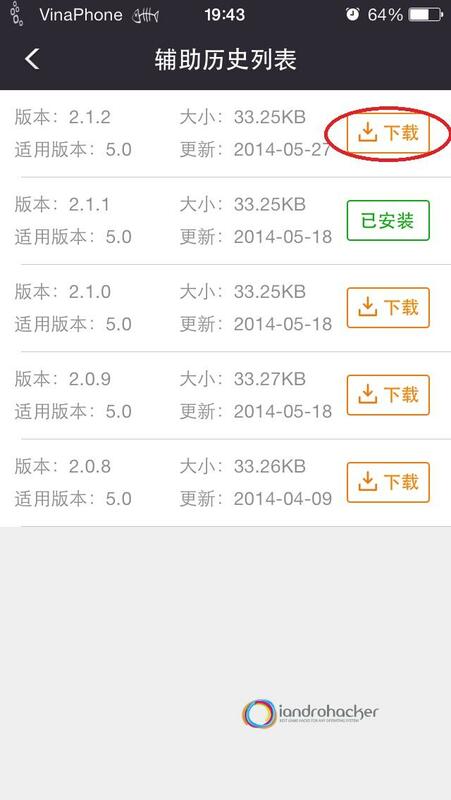 - War notifications have been improved and bases are now numbered on the war map for easier reference. Russian language is now supported in game settings!